A black and white negative of six unidentified women at the W.M.S. 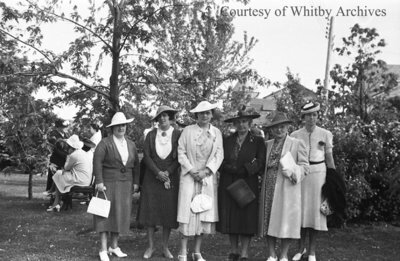 United Church garden party held in June of 1939. W.M.S. Garden Party, June 1939, Marjorie Ruddy. Whitby Archives A2013_040_678A.